Nokia has announced that the Nokia 8.1 smartphone will be joining its value flagship range and with it comes ZEISS optics, OIS and PureDisplay screen technology so you can view HDR-quality photos on the device. The Nokia 8.1 smartphone has been announced and it joins the same 'good value for money' category as the Nokia 7 Plus. As found on the recently reviewed Nokia 7.1 smartphone, the 8.1 features ZEISS optics, decent camera specs and a big screen that also features Nokia's 'PureDisplay screen technology' so you can view HDR-quality images without having to head to your PC. The Nokia 8.1 also runs the latest Android software, Android 9 Pie, straight out of the box. The 12MP camera features Optical Image Stabilisation (OIS) and there's a secondary 13MP depth sensor built in for capturing those bokeh-filled portraits. On the front, a 20MP camera captures your selfies and 4K video is built in. A 'Bothie' mode is still available even though it's probably not all that useful and Snapchat fans can add filters/masks to photos/video and live stream them directly to friends without exiting the camera app. The Nokia 8.1 is the second Nokia smartphone to come with PureDisplay screen and it measures a very decent 6.28". Plus, thanks to HDR10 support, the screen has a 96% colour gamut and 1:1500 contrast ratio. A 3500mAh battery is built in along with the Snapdragon 710 Mobile Platform, 4GB of RAM and 64GB of storage. As for the design, the Nokia 8.1 looks smart with its dual-tone anodised metal frame, small bezel and small-ish chin. There is a top-notch which does look slightly wider than the one found on the Nokia 7.1 but it's certainly not obtrusive. 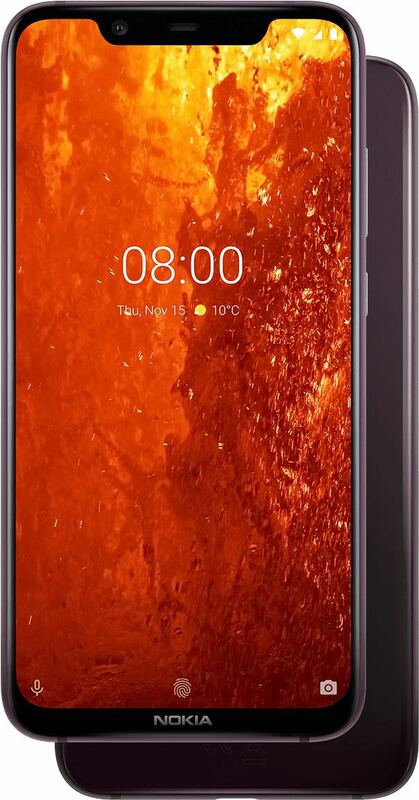 The Nokia 8.1 will be available in three colour combinations, Blue/Silver, Steel/Copper, Iron/Steel, from 14 January 2019 for £379.99. We'll be bringing you our full verdict on the new Nokia smartphone as soon as we've put it to the test but if the Nokia 7.1 and 7 Plus is anything to go by, it should be a surprising winner. In addition to the launch of the Nokia 8.1, the Nokia 3.1 Plus will be joining the Nokia smartphone portfolio. 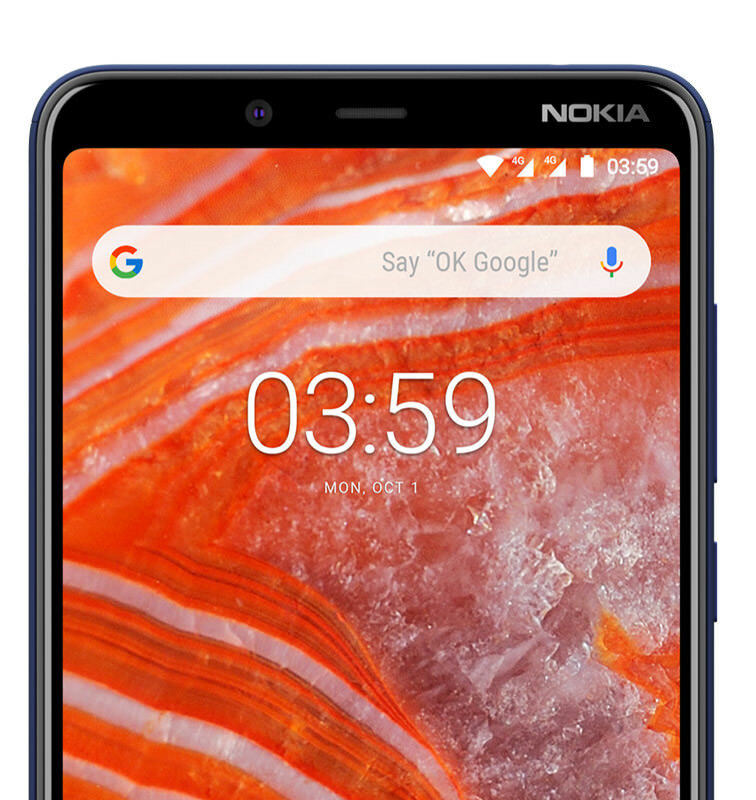 The Nokia 3.1 Plus will be available in blue for £169.99 and features a 6-inch HD+ display, dual camera (13MP & 5MP), 8MP front-facing camera and is the latest Nokia device to join the Android One family. It's another smart-looking device from Nokia but there are areas Nokia has cut back on the specs to make the smartphone more reasonably priced, including the built-in RAM (2/3GB), internal storage (16/32GB), battery size (3500mAH) and the charging port isn't USB-C (Nokia Micro USB). For gamers, you may also be interested in the Nokia 5.1 Plus which will be available in Blue and Black for £199.99, from 14 January 2019.